A single road segment contains up to 260 unique data attributes. Speed limits, road signs, junctions, turn restrictions, nearby points of interest—every road presents a complex stream of data. Each navigation system map update provides fresh data that improves routing accuracy, estimated arrival times, and much more. To ensure you have the freshest data, update your Mercedes-Benz navigation system today. But with the road network constantly evolving, the most efficient routes are subject to regular changes. 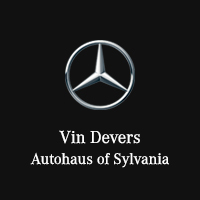 Update your Mercedes-Benz map to ensure maximal efficiency. Finding an alternate route to work, locating the nearest fuel station, taking a scenic detour on a road trip—your Mercedes-Benz navigation system will optimize your driving experience every time you get behind the wheel. A map update delivers greater accuracy, efficiency, and usability. Update your Mercedes-Benz map today.